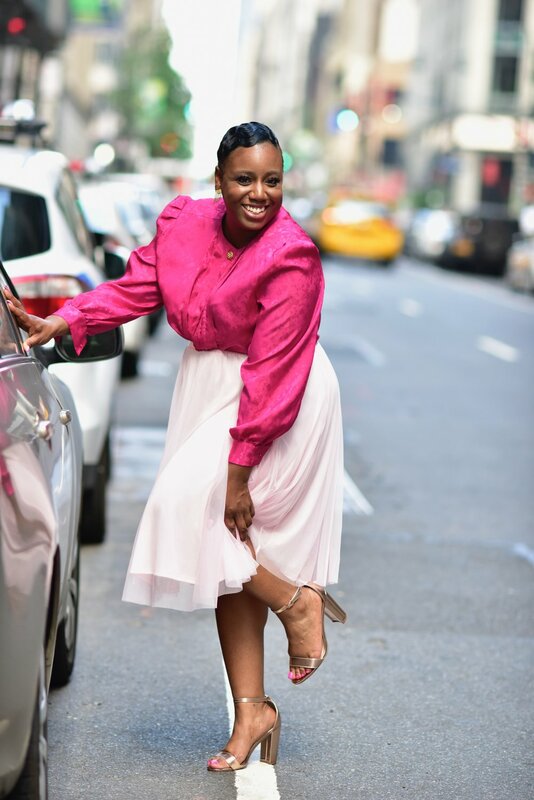 Tishonna "Tish" Ferguson is a New York City based freelance makeup artist, hair stylist, male groomer, beauty blogger, beauty educator and public speaker. Her work has been seen on faces such as legendary hip hop artist MC Lyte, Joseph Sikora from the hit show Power, comedian Katt Williams, Vh1's Love and Hip Hop and Grammy nominated hip hop artist Jarule for MTV's new television series 'Follow the Rules'. Tish has been actively pursuing her dream as a makeup artist since 2011. When she decided to leave corporate America she promised herself she would live a life of purpose and passion which she found in beautifying her clients. Since making that decision she has embarked on a beautiful journey. She not only puts her touch on her clients through makeup but she used her educational background to expand her brand. Tish Ferguson studied English Education at Lincoln University and uses those skills as a writer for beauty blogs such as Yandy Smith's blog and publication Everythinggirlslove.com. She serves as a writer and the makeup artist on the Beauty Advisory Board. She currently has embarked on the journey of Television and holds the title of Head of Hair and Makeup for BET's The Rundown with Robin Thede. With her love of red carpet looks, in studio glam, editorial and sketch comedy transformative makeup this was the ideal space to grow her talents in. Tish has also committed herself to serving her community by educating our youth on chasing their dreams and finding their beauty within. She has conducted classes for the WEEN academy which is a non profit organization geared towards young women pursuing a career in the entertainment industry. She also serves by speaking in schools about dressing for success, self image and finding your beauty within. Tish wants to throw away the myth that makeup is a chore and only celebrities need makeup. She has started an education series called "The Vanity Experience" where she teaches everyday women how to pump up their image with a little makeup.